If you are thirsty, lemon water is the best option for you. It nourishes the body, providing enough vitamins, minerals and trace elements. Lemon water is the best natural energy booster. Our body is dehydrated in the morning and needs enough water to flush out the toxins and rejuvenate the cells. To be more precise, this “lemonade” eliminates toxins, and regulates the function of your kidneys and digestive tract. 1. Lemon water provides enough electrolytes important for the hydration of your body. Lemons are packed with potassium, calcium, and magnesium. 2. It is good for the joints -- reduces joint and muscle pain. 3. Lemons contain citric acid and thus improve digestion. It interacts with acids and enzymes, stimulating the secretion of gastric juice and the whole digestive process. 4. Lemon water is more powerful in stimulating the production of enzymes in your liver than any other food or drink. 5. Cleanses the liver. Lemon juice helps your liver to eliminate toxins more easily. 6. Lemons have strong anti-inflammatory properties and help in the treatment of respiratory infections, sore throat andtonsillitis. 7. 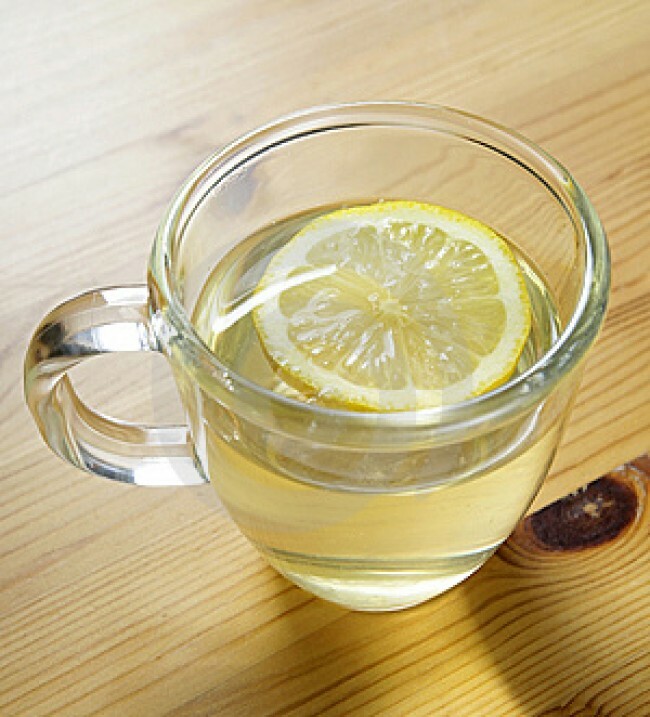 Warm lemon water regulates natural bowel movement. 8. Lemon water regulates metabolism. Lemons have powerful antioxidant properties, protect against free radicals and strengthen the immune system. 9. Provides normal function of your nervous system, thanks to the high content of potassium. Potassium deficiency often results in depression and anxiety. Our nervous system requires enough potassium to provide sustainable signals to the heart. 10. Lemon water cleanses the cardiovascular system. 11. It reduces blood pressure. Regular consumption of lemons can help you decrease high blood pressure by 10%. 12. Lemon water creates alkalizing environment in the body. Even when you drink it right before your meal, lemon water still maintains a higher pH value. Higher pH values are associated with stonger ability to fight diseases. 13. Lemon water is good for the skin. Lemons contain vitamin C, essential for our skin and tissues. Drink it regularly to improve your skin complexion. 14. Dilutes uric acid buildups that case joint pain and gout. 15. It is great for pregnant women. Lemons are packed with vitamin C. It acts as an adaptogen and helps the body fight against viruses and colds. Vitamin C supports the formation of bone tissue in fetuses. At the same time, the high content of potassium in lemon water helps the formation of baby’s brains cells and nervous system. 16. Lemon water helps in the treatment of heatburns. Add a teaspoon of lemon juice to half glass of water. 17. Dissolves gallstones, kidney stones, pancreatic stones and calcium deposits. 18. Lemon water contributes to a healthy weight loss. Lemons are rich in pectin which suppresses hunger cravings. Studies show that alkaline diet help you lose weight more easily. 19. Lemon water relieves toothache and gingivitis. 20. It prevents cancer. Lemons are highly alkaline, and scientists say that cancer cells cannot live in an alkaline environment. Always use warm filtered or spring water. Combine half a cup of warm water and juice in half a lemon or lime. You may want to use a juicer to juice the lemon more easily without any special effort. Use lemon essential oil if you prefer. Drink lemon water in the morning before you eat or drink anything. Some people prefer drinking lemon water an hour before their meals. So, when life gives you lemons, why do not you make some lemon water?